Stay out of jail & protect your future. 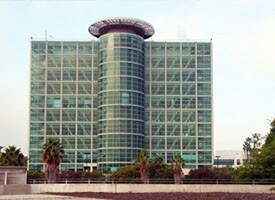 Affordable DUI Help with flexible billing terms. Have you been hurt in an accident? Did you suffer an injury at work? Start the process with a Free Consultation Today! If we don’t win, you don’t pay! Nothing out of pocket – 100% Free Consultation. Call Today! We can provide an aggressive and effective defense to any charge. Don’t just accept a license suspension & other penalties. We will fight for you. Get the compensation you need and deserve for serious injuries. Let us help maximize your compensation for property damage and injuries. Call us 24/7 at 310-295-2236 To Receive a Free & Confidential Initial Consultation. For an aggressive and effective defense to any charge, trust our experienced former prosecutors. We make winning your case our #1 goal. You should not have to pay for injuries and suffering caused by someone else’s negligence. Let us help you fight for full and fair compensation. We stand up for your rights in the workplace, whether you have experienced discrimination, harassment, retaliation, a wage and hour violation, etc. Does your vehicle have a problem the dealer just can’t fix? We may be able to secure a replacement vehicle or a significant cash settlement. We help tenants understand their rights, their obligations, and their options for resolving landlord-tenant disputes. We provide a diverse range of legal services for businesses including dispute resolution, contract drafting, and intellectual property protection. Looking for a loved one who may be in custody? Use this tool to search jails and prisons. Once you’ve located them we can offer our services as a criminal defense attorney. Find contact information for all the courthouses where Perlmutter & Pourshalimi is permitted to appear on behalf of clients. 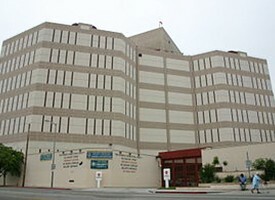 Get information about various support programs that may be used as an alternative to jail time in a criminal sentence. 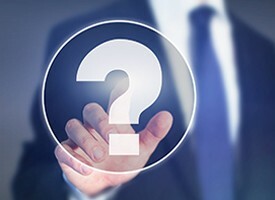 Do you have questions about our law firm, our services, or the areas of law in which we practice? Find answers on this page. From providing pre-litigation counsel to winning intense jury trials, I have worked closely and effectively with my clients to fight for their best interests. Call us 24/7 at 310-295-2236 or fill out the form below to receive a free and confidential initial consultation. We focus our practice on a wide range of civil litigation and criminal defense matters. From providing pre-litigation counsel to winning intense jury trials, we have worked closely and effectively with our clients to fight for their interests. At Perlmutter & Pourshalimi, we take on a wide range of cases with skill, dedication, and a sincere commitment to securing the best possible outcome for each client—no matter how much work it takes. Our attorneys are former criminal prosecutors who have worked at some of the most successful civil litigation law firms nationwide. 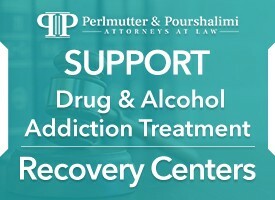 Whether you are facing jail time, were injured in a car accident, have a contract dispute or employment issue, or need help in a landlord-tenant dispute, Perlmutter & Pourshalimi has the experience to aggressively represent your interests. We offer the best, most aggressive representation at a more than reasonable cost because we want your repeat business. Can an Undocumented Immigrant Hire a California Criminal Defense Attorney?